MADE TO ORDER - Please allow 1.5-2 weeks for your pillow cover to be created before shipping. Also, please review my shop's made-to-order item policies prior to purchasing, or convo me if you have any questions. 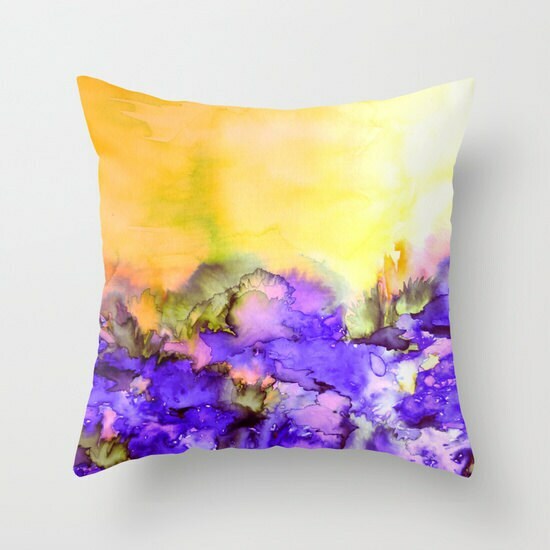 Title: "Into Eternity - Yellow and Lavender Purple"
This image is based on an original abstract watercolor painting created for sale on Ebi Emporium on Etsy. As such, Ebi Emporium holds all copyright and rights to this design.